Heavy vehicles travel more than 1 billion kilometres per year in South Australia. They represent 8% of the kilometres travelled in the State and are involved on average in 15% of fatal crashes and 7% of serious crashes. 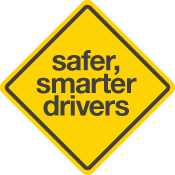 Fatal and serious crashes involving heavy vehicles are estimated to cost over $100 million per year. Heavy vehicles present a significant road safety issue because of the long distances they travel and because of their mass and rigidity if another vehicle collides with them.